Give the gift of Zentangle! 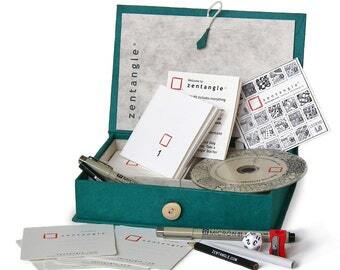 When designed, the Zentangle Kit's main guideline was to use quality materials. Whenever you create something, we believe it is important to use the best materials possible - out of respect for yourself and out of respect for what you are creating. Using fine materials and tools, and caring for them, can raise your level of focus and inpiration and inspires even greater creativity in ways that you might not even imagine. 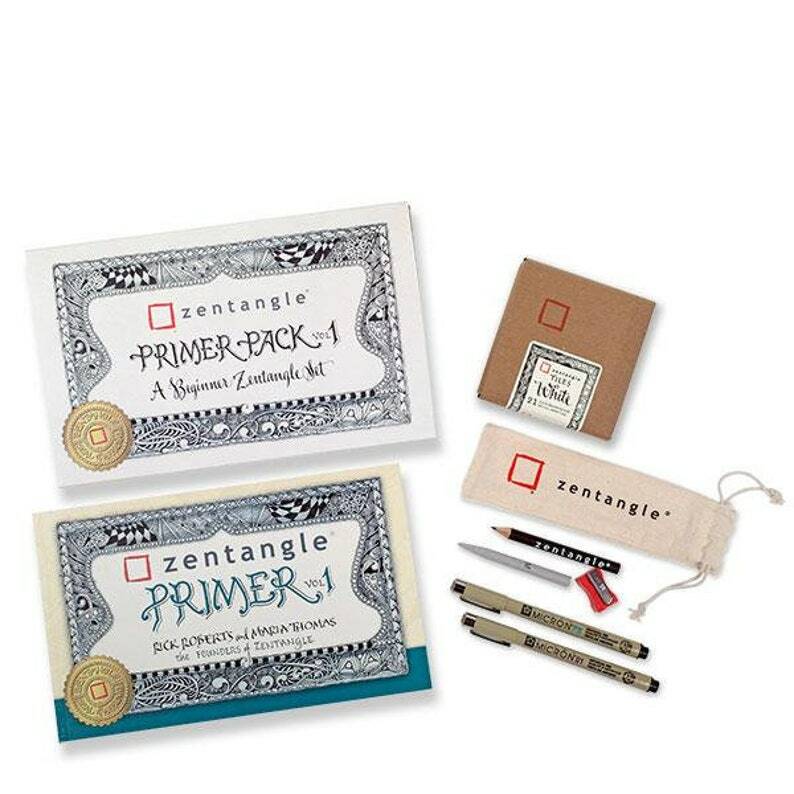 Here is a list of what you will find in your Zentangle Kit and why they chose to include it. They call the small sheets of paper, tiles. That's because you can arrange them in beautiful larger mosaics. 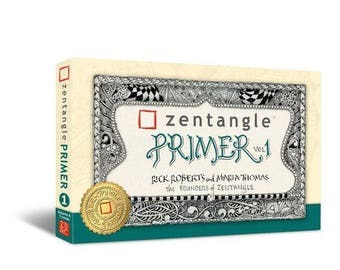 Zentangle tiles use a mould-made, acid-free, 100% cotton, heavy-weight fine artists' archival print-making paper with a beautiful vellum surface. Each tile is die-cut in resonance with this fine paper's original deckle edges and enhances the appearance of your mosaics. Sized at 3-1/2 inches (89 mm) square, these tiles are designed to fit in pockets or in old floppy disk containers. Sakura® Pigma Micron pens were chosen to draw Zentangle patterns on the tiles. These archival pens uses pigments instead of dyes. When permanence is required of a pen, whether for marking ballots to last for hundreds of years, or by top cartoonists, Sakura Pigma is their choice. Their ink dries quickly to a neutral pH, is waterproof, chemical resistant, not affected by temperature and permanent on paper. Most importantly, these pens are a pleasure to use. 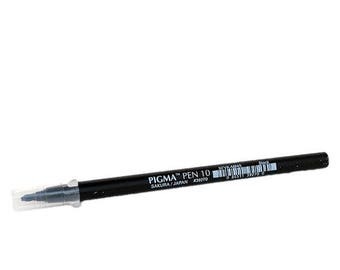 The slightly cushioned paper yields ever so to receive the ink from this pen without absorbing too much and without bleeding. A soft pencil is ideal for drawing strings and for shading your tile. The soft-leaded embossed pencils are supplied with your Primer Pack. To sharpen your pencil, they included a German Kum® brand pencil sharpener. 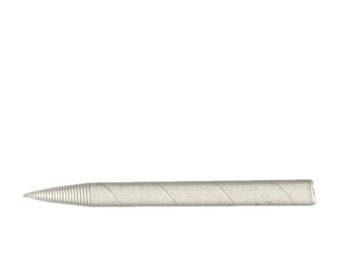 This tortillion, or smudge stick, is a small rolled paper tool to get into those fine corners which are too small to smudge with your finger tip. 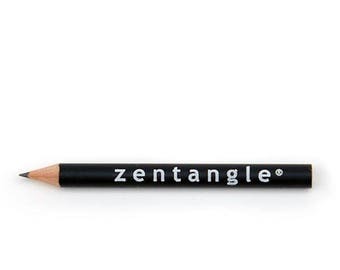 With precision and ease, it ever so gracefully allows you to manipulate your shades of gray.